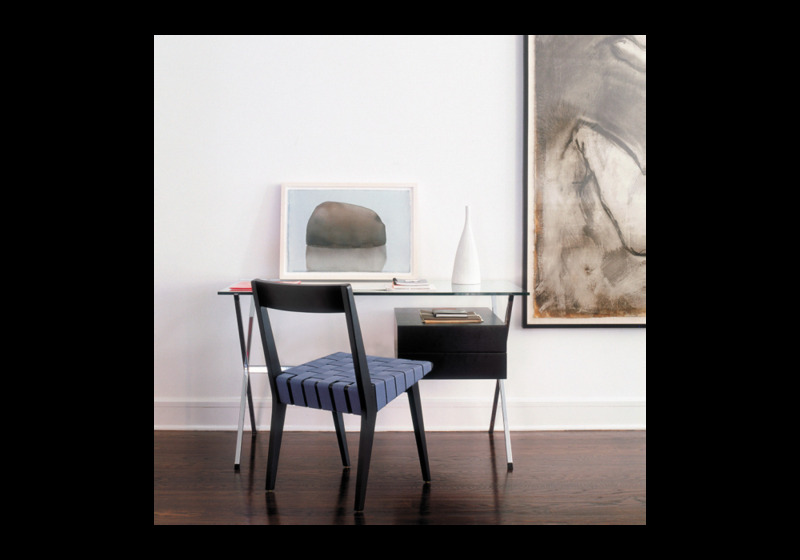 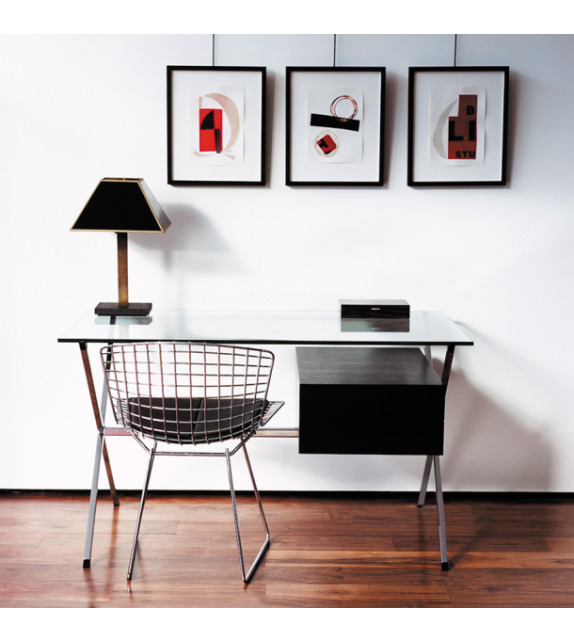 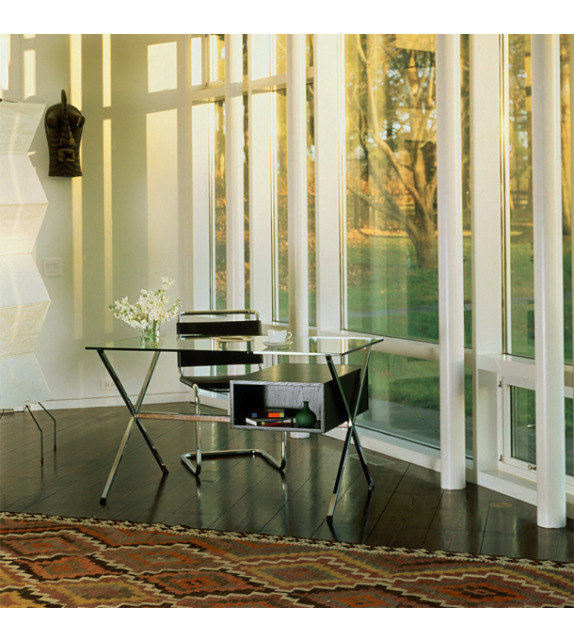 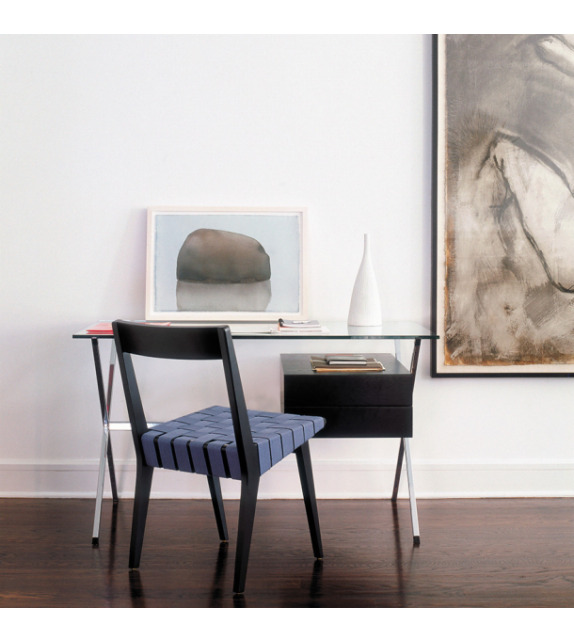 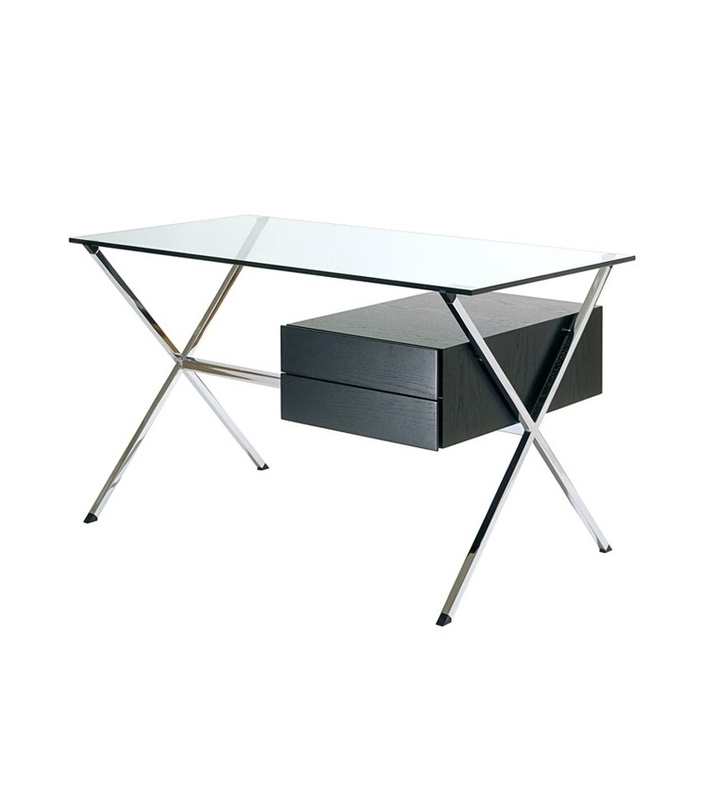 Albini Desk is a writing desk designed by Franco Albini for Knoll. 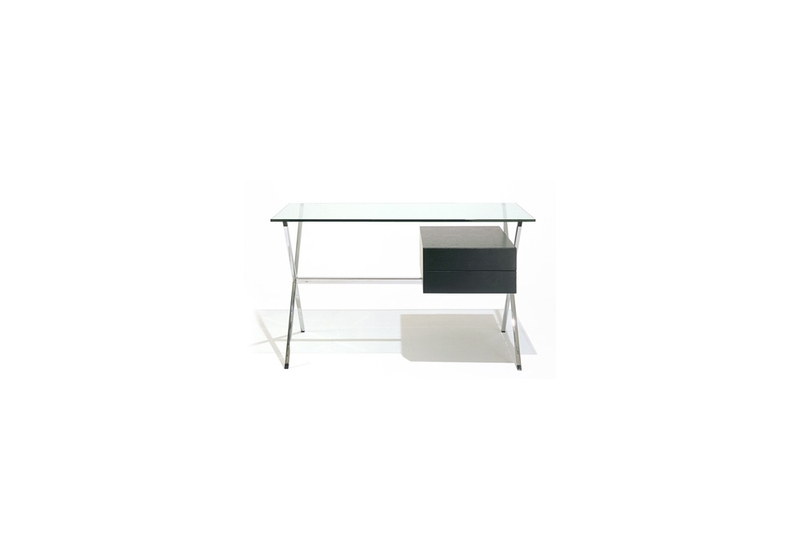 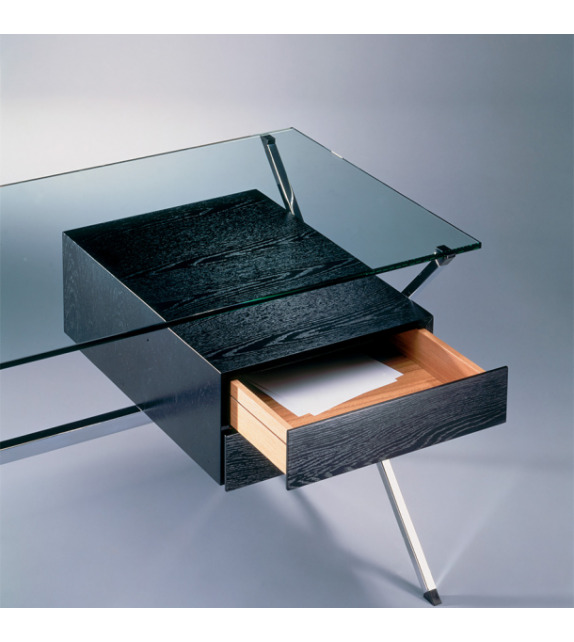 Franco Albini’s 1928 desk combines glass, steel and wood with striking clarity and balance. 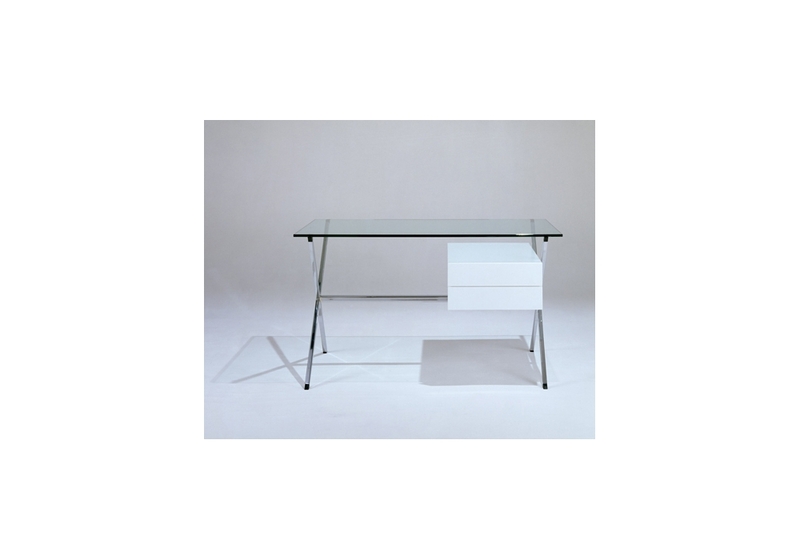 A clear demonstration of Albini’s rationalist design philosophy and minimalist aesthetic, the design derives its appeal through simplicity of form and celebration of material, without extraneous ornamentation. 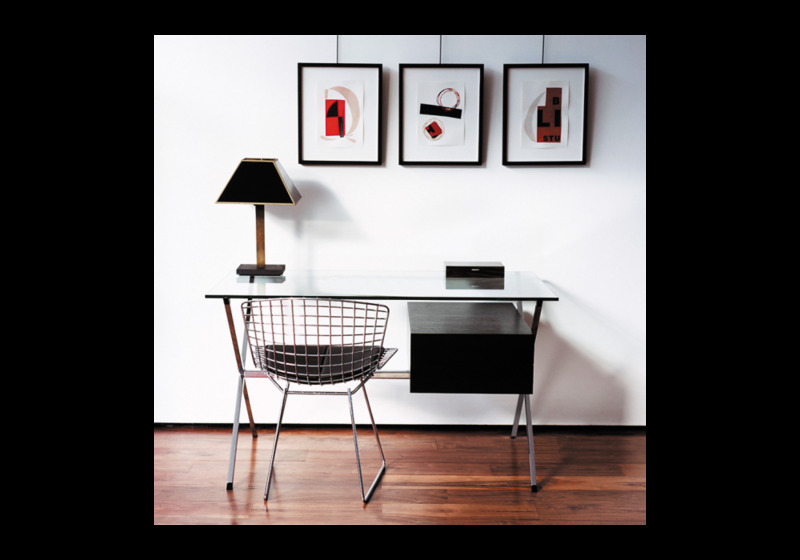 Albini Desk is a writing desk designed by Franco Albini for Knoll. 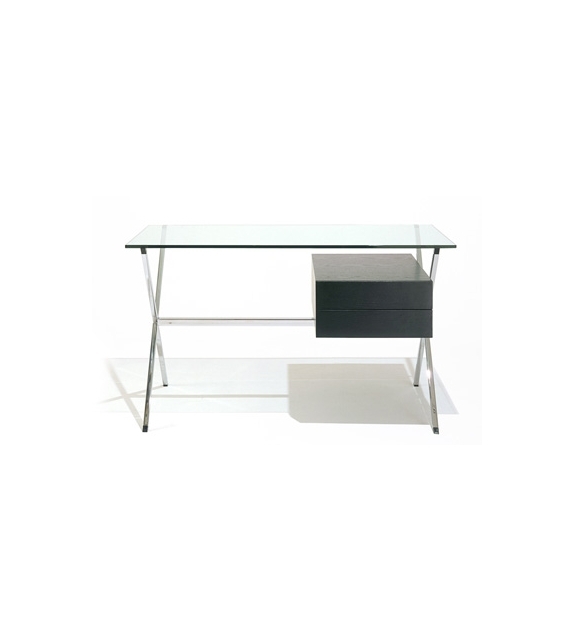 Franco Albini’s 1928 desk combines glass, steel and wood with striking clarity and balance. 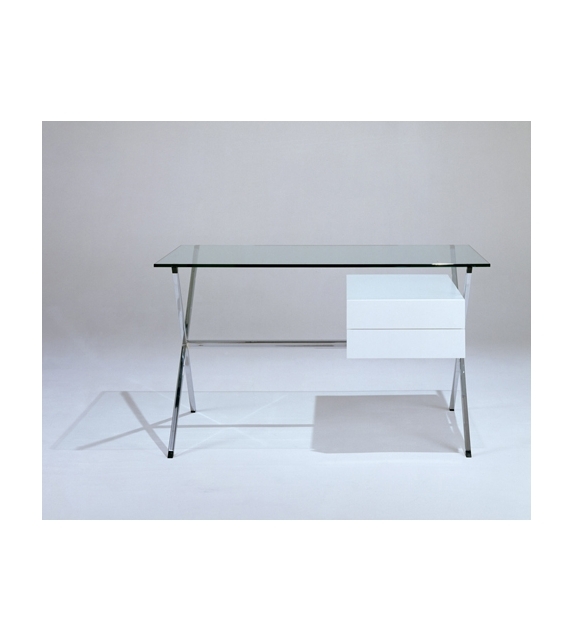 A clear demonstration of Albini’s rationalist design philosophy and minimalist aesthetic, the design derives its appeal through simplicity of form and celebration of material, without extraneous ornamentation. 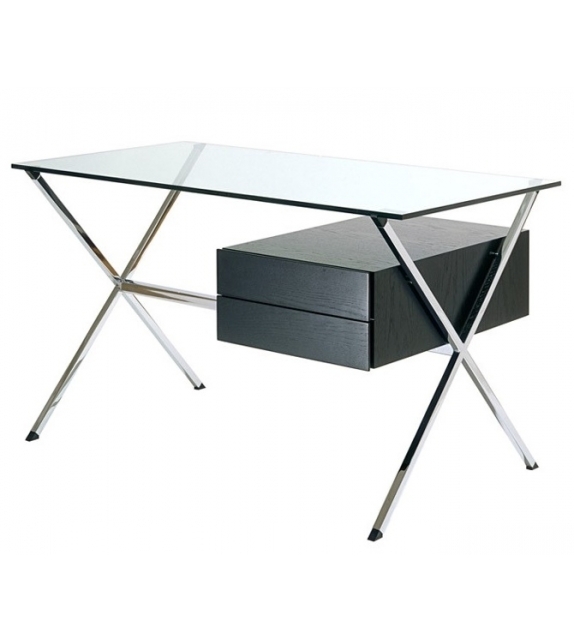 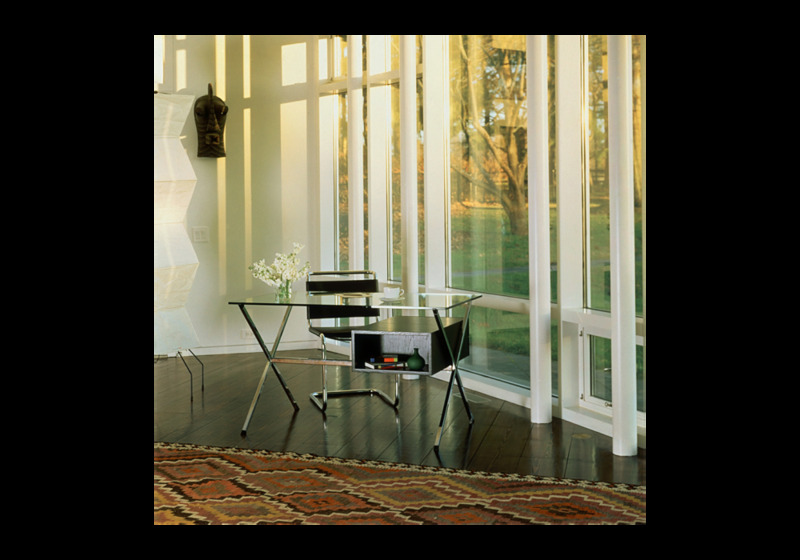 Frame and legs are square steel tube with polished chrome finish. 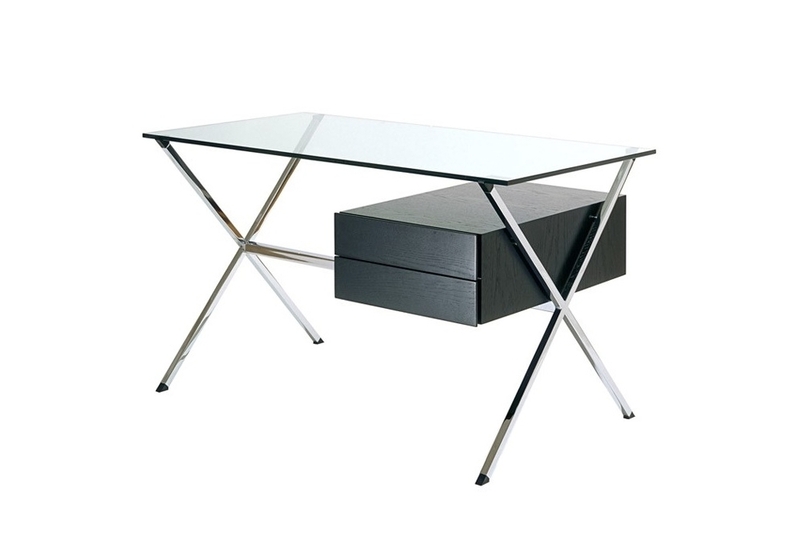 Top is ½” clear tempered glass. 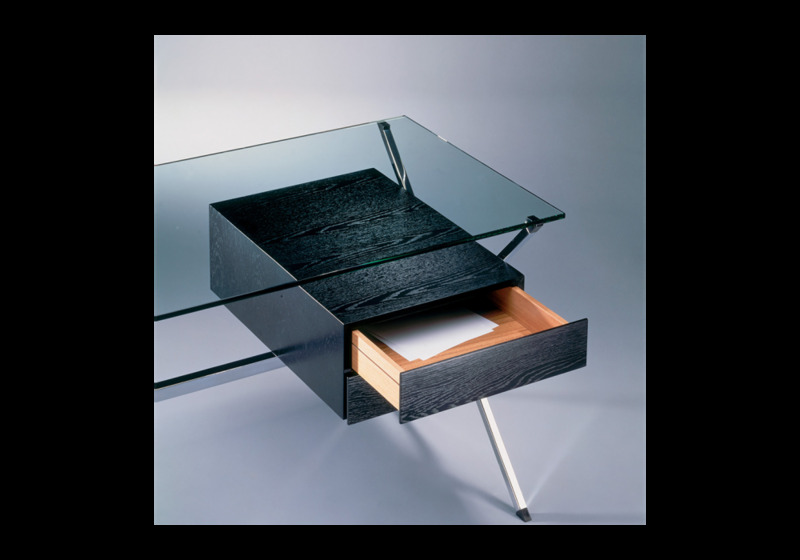 Pedestal drawer is either ebonized oak or white lacquer and mounts to the right side of desk.